My old boss, Brian Walton once told me something that I will never forget. "If you don't think that [bike racing] can be done clean, you shouldn't be a coach". I completely with Brian, though I am unable to express myself quite as concisely as he did. Today, though you would be a fool to think that there isn't still doping our sport, you would be an equal fool to think that the same culture of doping exists today that did 10 or 15 years ago. I am extremely happy that the juniors I coach will not be entering a world of professional cycling where they will ever feel like they have to choose between doping or quitting. There is a lot less doping now, but unfortunately there is also a lot less opportunity. Young riders today, guys that are clean and doing things right, are paying the price for the mistakes the generation before them made. I am sure that some of this is just because there was a lag between the height of the doping era and the widespread public awareness of it, but I think it is also because so may fans still refuse to believe and those of us on the inside aren't doing enough to help. Let's take a step back. Why do we love cycling? For that matter, what is appealing to us about sport in general? I don't want to be too cliché but I think a lot of the appeal is watching human beings achieve things never thought possible: Running a 4 minute mile. Throwing a baseball at 100 mph. Clean & Jerking over 3 times body weight. What makes these things so amazing is that they are done by humans. I don't want to see super-heroes, I want to see humans; living, breathing, fragile, suffering, amazing human beings. If humans can do these things that were once thought impossible, it expands the entire realm of human possibility. 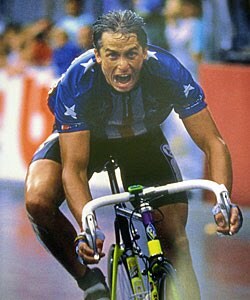 But this is also why doping scandals can break our hearts. We feel tricked... duped... like a bunch of suckers. This is tragic by definition. It is no surprise that fans would become cynical after having their hearts broken a few times. It is no wonder that they would stop believing when many of the athletes they once admired and looked up to turn out to be frauds. Even when we fix the problems we can't expect that the pain of this betrayal will go away overnight. But if we want it to ever go away, we have to do more than just clean up the sport. One of the things that annoys me most is when the first response cycling "fans" have to a great performance is to state with smug condescension, "They were probably doping". Of course, like many of the cynical comments that people make, these things are often more about the person who says it than the target of the comment. After all, if the winner was a cheater it means that you (not a cheater) have no responsibility to perform because the game is fixed, right? It's a lot easier to believe that the winners cheated than that they are simply more talented, harder working and smarter. If you actually believe that it's a level playing field it would be much harder to come up with an excuse. But next time before you go making a comment like this you might want to think about the type of corrosive damage these remarks can cause. Maybe I am more sensitive than I should be about this kind of stuff but I am in a different position than most. As the director of a junior cycling program, I am always in the business of trying to place the top graduating (18 year old) riders onto elite U23 and professional teams. Unfortunately, there are currently only 2 professional U23 teams in the US: Bontrager and Hincapie Sportswear, with only 10-15 spots each. 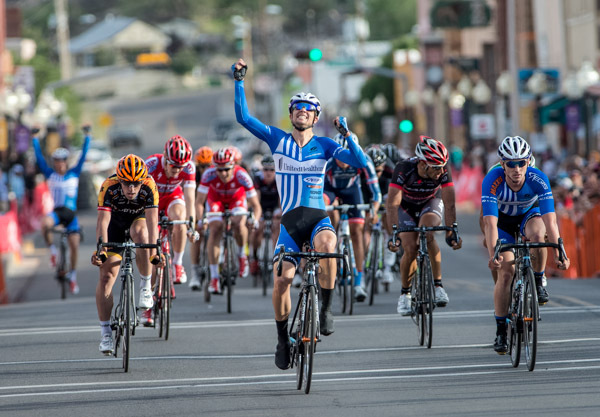 Though neither team is exclusively American, most, if not all of the American riders that win U23 National Championships and European U23 races; the riders who go on to become the next generation of American cycling stars will come from one of these two teams. Unfortunately, if you are 18 years old and you are pretty good but not one of the top 20-25 riders in the country, it's a lot harder to get on the fast track. There are some spots for young riders on non-U23 professional teams as well as elite amateur teams but these teams will not prioritize developing young riders as highly as getting race results, so younger riders are often left off the rosters for the bigger races. This is unfortunate because some of them started later or matured a little more slowly. Surely there would be more opportunities for these "second tier riders" to develop if there were more U23 teams out there that could afford to send teams to the big races in the US and most importantly to Europe. Why aren't there? Well let's just say that if the sponsorship money was there the teams would be there. Doping isn't the only reason the current sponsorship market is bleak. The economy is struggling and there aren't tons of companies willing to shell out money to sponsor professional cycling teams that can't guarantee a return on investment. Companies don't usually sponsor cycling teams as direct advertising anyway. Most people aren't going to go out and get insurance from United Healthcare because they like their cycling team. With some exceptions (mainly product sponsors), most cycling sponsorship is about branding. If you put a positive image in the consumer's head they make a subconscious association. After all, the reason health care is called "Health Care" in the first place and not "Sickness Care" is branding. Cycling should (at least in theory) be a vision of health, youth, life, energy, speed and exuberance. Fans watch the United Health Care cycling team win a race and later when they see the UHC logo they think about health, youth, life, energy, etc. Obviously though, it only takes a few doping scandals to make this branding ineffective if not downright counter-productive. So to recap... the effectiveness of branding strategies involving the sport of cycling are questionable because of all the bad press the sport has had and most companies have slashed their budget for branding strategies anyway because of the bad economy. Unsurprisingly we are left with... not much sponsorship $. And that's really what is comes down to. Show me the money! Money can't buy everything, but the bottom line is that more money = more opportunities for talented young riders. That's why I cringe when I look at things like this and this. The first is an article about the Hincapie Development Team in Cyclingnews.com. 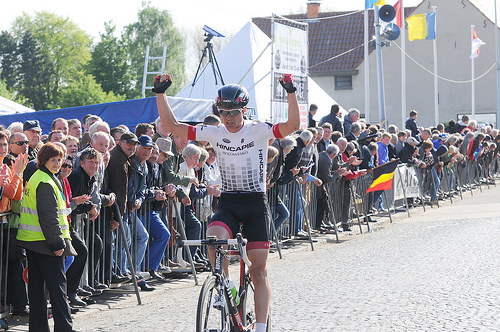 The second is an interview with BBP athlete and a member of that team, Robin Carpenter, after winning the Puivelde Kermis in Sint-Niklaas, Belgium last week. In both cases, if you scroll down to the comments (I know, I know... I should know better) you will see a bunch of people criticizing the Hincapie sponsorship because of George Hincapie's past doping as well as casting aspersions on Robin himself because a) He is a member of a team sponsored by Hincapie and b) He is fast. First of all, Hincapie Sportswear is co-owned by brothers Rich and George Hincapie, though almost everyone knows that it Rich manages the company and George is the front man. In full disclosure, Hincapie Sportswear is the clothing sponsor for Team GPOA, but having raced and trained in their clothing for the last 3 years I can say without a doubt that it is the best cycling clothing I have ever had. 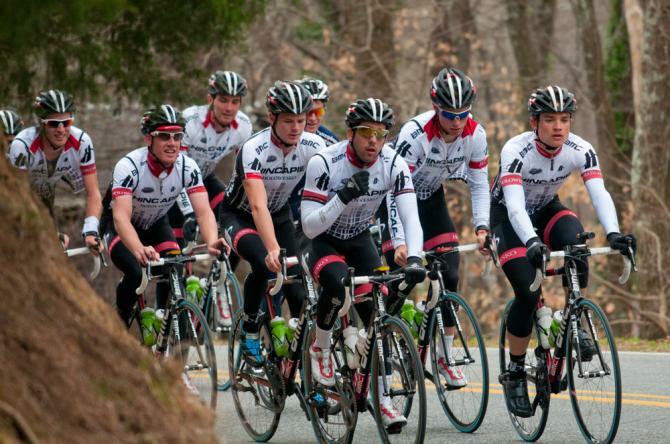 Second, is it inappropriate for Hincapie to sponsor a U23 Cycling team? No more so than it is inappropriate for a kid caught spraying graffiti to do community service. Yes, he cheated and he lied, but unlike the many many others that did the same or worse, he is doing something positive for the sport now and it isn't just a self serving half-assed public apology. In my opinion, George is doing just about the best thing he can to help the sport. And he isn't just sponsoring a team that is helping former dopers get one more chance to win races, he is helping new riders get their chance... riders that are not tainted by the scandals, the culture, and the cynicism of the doping era. This is a thankless job by the way, because Devo teams can always expect to lose their best riders either when they get older or are picked up by bigger teams. Just in case you were wondering, the team has a ZERO tolerance policy on doping and though I can't disclose the content of Robin's contract I can tell you that it makes it very clear that the team isn't just giving lip service to the anti-doping fight, they are extremely serious about it. Third, if you still think it's inappropriate for someone who doped to sponsor a U23 Cycling team then fine... put your money where your mouth is, step up and sponsor a team yourself. Lastly, to me at least, Robin Carpenter symbolizes everything that is right about the sport of cycling. He is an inspiration to us all because he has proven that success is possible in this sport with bread and water, hard work, determination, intelligence, patience and grit. When I first met Robin in 2005, he was 13 years old and we had both done the Manayunk Wall Hill climb TT, which is just a few blocks away from the house where he and his family lived. I won the 1/2/3 race and he finished 27th in the Cat. 5 race. Just 3 years later, I wouldn't be able to beat him in anything unless he made a wrong turn on the course when he was off the front. Robin has been successful not only because he is extremely physically talented but also because he has a knack for reading a race and being able to slip away at the perfect moment. He is one of the hardest workers I know, not only with his training, but also with his academics. After graduating from Masterman High School (the most competitive high school in Philadelphia) with a 4.0, Robin earned a full academic scholarship to Swarthmore College, where he has successfully balanced the demands of being a full-time student and a professional athlete for the last 2 years. Next week, at the Philly Cycling Classic, he will be one of the favorites to win the best Jerry Casale best young rider award. If he does so, he will do it in front of his home on the same street where he did his first bike race 8 years ago. In short, Robin isn't part of the problem, he's part of the solution. As in any sport, there is and will always be some cheaters. We all have to do our part to make sure that these cheaters are caught and punished but as fans, we also have to do our part and keep believing. We need to allow ourselves be once again be amazed by what human beings are capable of. If we can do this, the sponsors will come back because it's good for business. When the sponsors come back, the opportunities come back for the next generation and we might actually pass along to them the sport of cycling as it was meant to be.